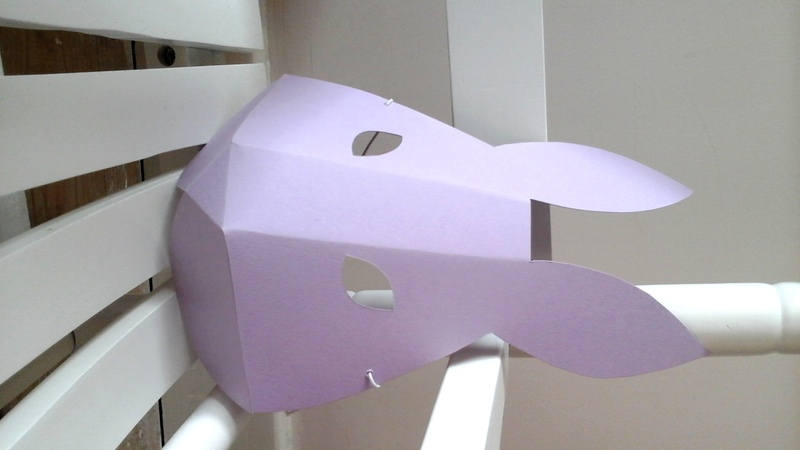 I adore this really simple paper bunny mask that i made using the downloadable template from The Gentle Journal. I decided to go minimalist but you add extra detail, as shown in the origional blog post. This entry was posted in Kids, Making and tagged biodegradable, easter, paper masks. Bookmark the permalink.